There is certainly a lot to unpack in this photograph. It’s the way we used to communicate, keep informed and be pitched to all in one location; like the iPhone or Facebook. You could also imagine seeing missing pet signs or offers for various personal services. I heard this story during in an NPR podcast yesterday during my morning run. Beginning with my time at ITRI where the teams were made of people of all ages, backgrounds and nationalities I’ve believed that change, disruption, conflict, friction and chaos can help foster great work. It at least spurs ideas and makes for an engaging and fun workplace. In 1975, jazz pianist Keith Jarrett played a concert that would go down in history. For this performance in Cologne, he used an old, virtually unplayable Bösendorfer piano – the only one available at the venue.Jarrett couldn’t play the ancient piano like he would a new one. It was out of tune, too quiet, the pedals were sticky and the high notes had a tinny ring to them. So instead, he improvised.To cope with the poor resonance, he played rumbling bass riffs. To boost the volume, he played while standing, pushing the keys harder and thereby giving the piece a new intensity. It was by playing in this unorthodox manner that he created a unique work of art.This is not unusual: disruptions force us to find new, creative approaches. After all, as long as our habits and routines are functional, there’s no need to alter them. Novel, potentially far-superior practices are usually discovered in periods of disruption. We’ve actually known for a while that certain kinds of difficulty, certain kinds of obstacle, can actually improve our performance. For example, the psychologist Daniel Oppenheimer, a few years ago, teamed up with high school teachers. And he asked them to reformat the handouts that they were giving to some of their classes. So the regular handout would be formatted in something straightforward, such as Helvetica or Times New Roman. But half these classes were getting handouts that were formatted in something sort of intense, like Haettenschweiler, or something with a zesty bounce, like Comic Sans italicized. Now, these are really ugly fonts, and they’re difficult fonts to read. But at the end of the semester, students were given exams, and the students who’d been asked to read the more difficult fonts, had actually done better on their exams, in a variety of subjects. And the reason is, the difficult font had slowed them down, forced them to work a bit harder, to think a bit more about what they were reading, to interpret it … and so they learned more. We need to deal with the awkward strangers, we need to try to read the ugly fonts, we need to embrace difficult situations, and we need to place ourselves willingly in these environments. It helps us. It helps us solve problems and be more creative. The kids have gotten me into the habit of watching Youtube clips during my downtime. We have never had cable or watched much in the way of TV (outside of our occasional Netflix habit) but somehow the kids have found a way to circumvent our no TV habit via Youtube. It’s their gateway to all kinds of good and bad entertainment and culture. One of my favorites recently is blogger Mark Wiens and his Youtube channel on food. He does great work but what we like the most is the reveal, that moment when he takes that first bite. The kids think it’s great. So for fun I recorded Camren, during a recent trip to The Diner on Guanxin Rd. in Hsinchu, trying his first Mark Wiens impression. We might make this a habit in the future. Young girl checking Facebook on her iPhone. 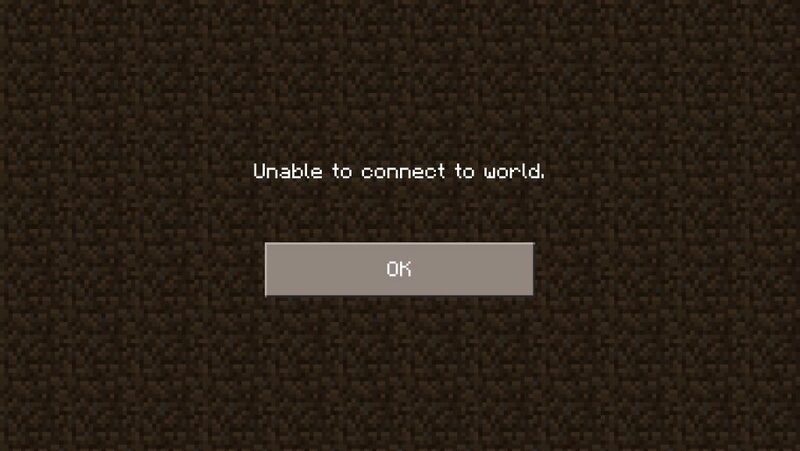 Today, we don’t like to be disconnected for any great lengths of time. #1 Can it be answered quickly? Big City lights up for Christmas so people can take pretty selfies. Though I make a habit of photographing as a means of remembering even the most minor of events, I have nothing to show for yesterday’s Christmas celebration. Just ugly shots of what was a delicious meal. 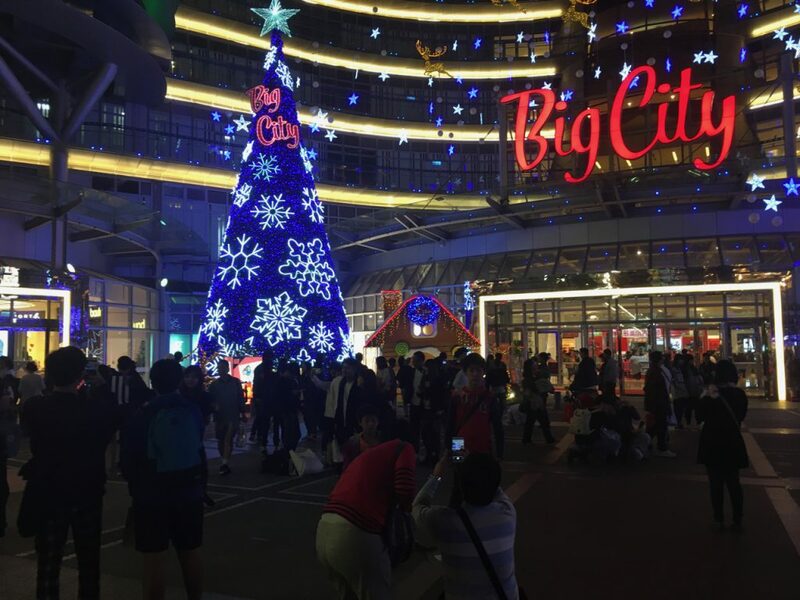 Taiwan is only international when it comes to government sponsored propaganda so celebrating Christmas here can sometimes be a challenge but we manage each year to have a great time. The above photo was taken on the 23rd after we had seen the latest Star Wars which left me with a distinct feeling of deja vu. Dinner was at a mall joint – expensive and not all that satisfying. Catriona introduces here dish here and Camren here. Many years ago I did a design study of the shopping experience at the then new IKEA store in Taipei. Their guided approach to shopping was novel to me at the time and in stark contrast to the undesigned experiences I experienced elsewhere. 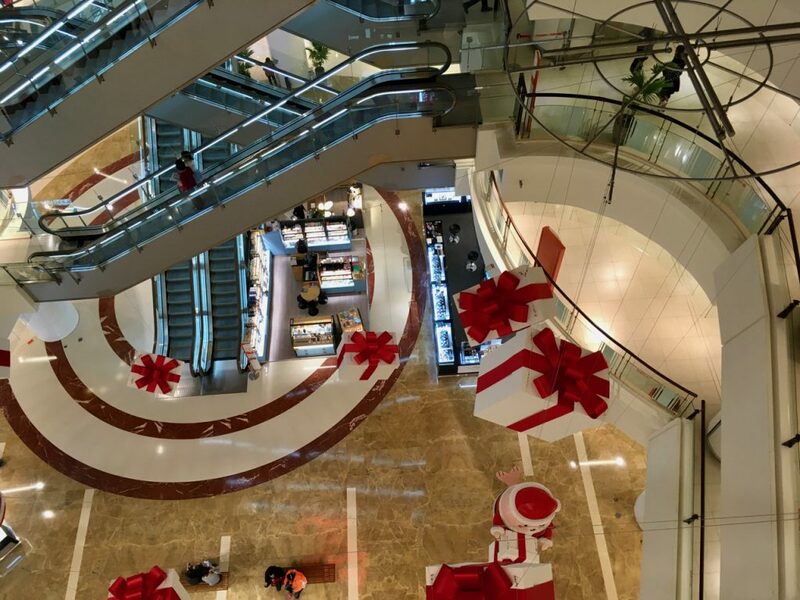 Most shopping centers follow a similar strategy when dealing with moving customers through-out their space. The escalators force you to walk through the aisles at each floor, or expose you to different stores, thereby exposing you to more product, and there are few short-cuts or direct routes (for fire safety reasons IKEA has somewhat hidden routes that bypass their experience). This is fine if you come to spend the day inside and you enjoy browsing through the shops in a mall, Taiwanese shopping behavior is often like this, especially on a hot day. But this design does not accommodate goal directed behavior. When I visit a shopping center it’s for a very specific reason – go to the book store, or sports shops, or see a movie. I might browse within these areas but customers like myself prefer direct paths and don’t appreciate the friction that many shopping centers purposely design for. A great design would accommodate both behaviors, but would it result in increased sales? 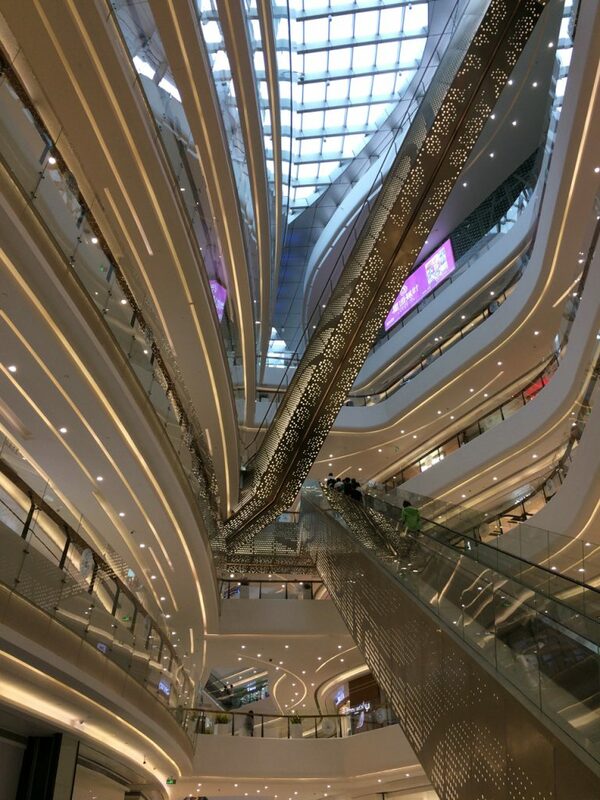 Big City in Hsinchu has direct access to the theatre via a long escalator, but to leave requires you to use the stairs. Many instead walk through the jam packed food area. I haven’t seen any data, but I would guess that this sub-optimal design does result in increased sales. An example of an in optimal experience being best for business. Communication, like conversation, isn’t something that we should be optimizing. 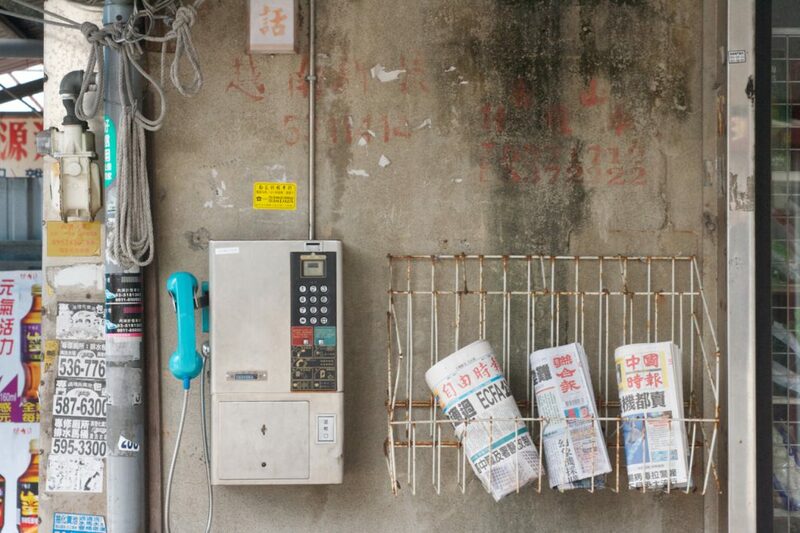 Communication, whether it’s from a newspaper, a social media platform, or a search engine, is information that we should be able to explore, interrogate, and spend time with. Something that’s sadly missing today. Sometimes adding friction allows for a more thoughtful and useful product. Waiting for an order at a Starbucks in Fuzhou. 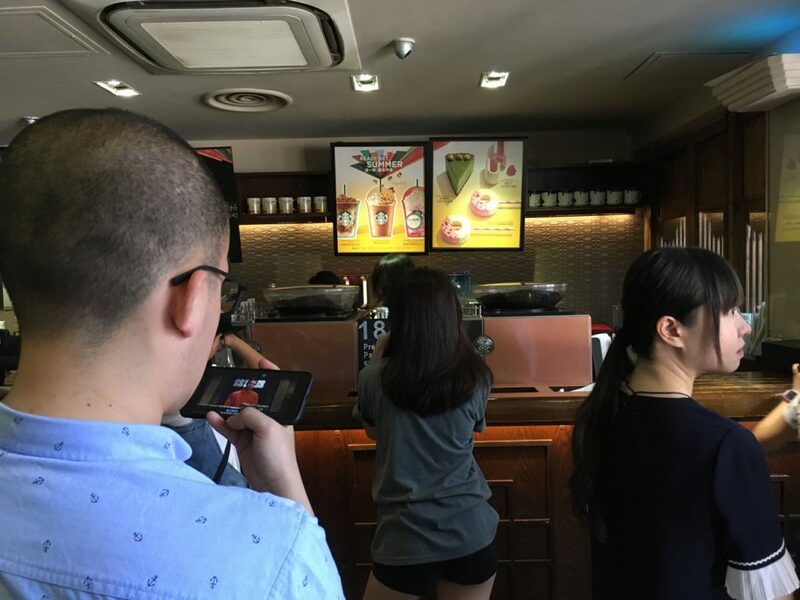 Watching a Chinese soap opera while waiting in line for coffee at a Starbucks in China. With all too common use case, even in my household, you miss out on so much of what is happening around you. It’s also creating a generation of patients for physiotherapists. In an age of this kind of media portability I am an extreme edge case. I can stand in line for extended periods of time and simply think and observe. 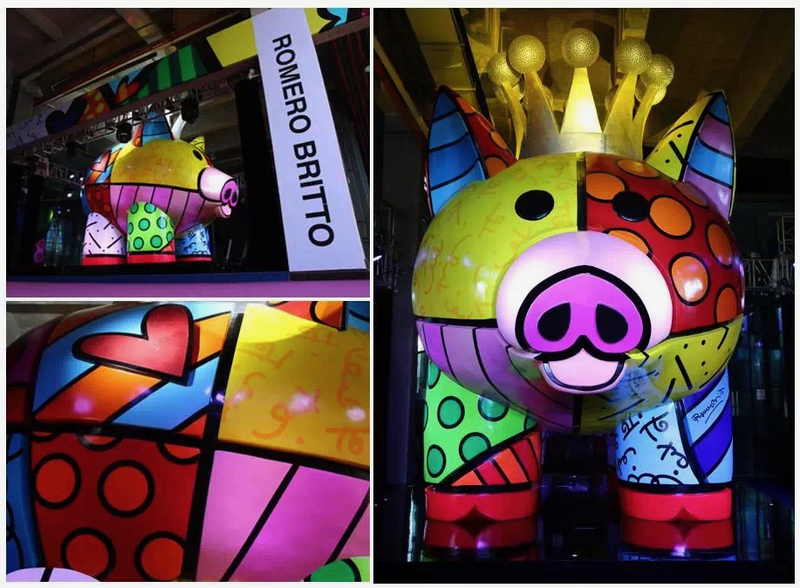 Romero Britto designed pig mascot at Fuzhou, Fujian. Creativity takes imagination one step further and puts it to work – creativity is imagination applied. Being creative means coming up with original ideas that have value and doing something with those ideas. This is not limited to the arts, but can be in math, engineering, writing or business. There are two steps to the creative process. The first is generating new ideas and the second is evaluating those idea in order to evaluate, elaborate, refine and maybe ultimately reject them. Having ideas alone is not enough, these ideas must be applied and evaluated. Of course not all ideas are immediately accepted or celebrated, many will face ridicule or scorn. 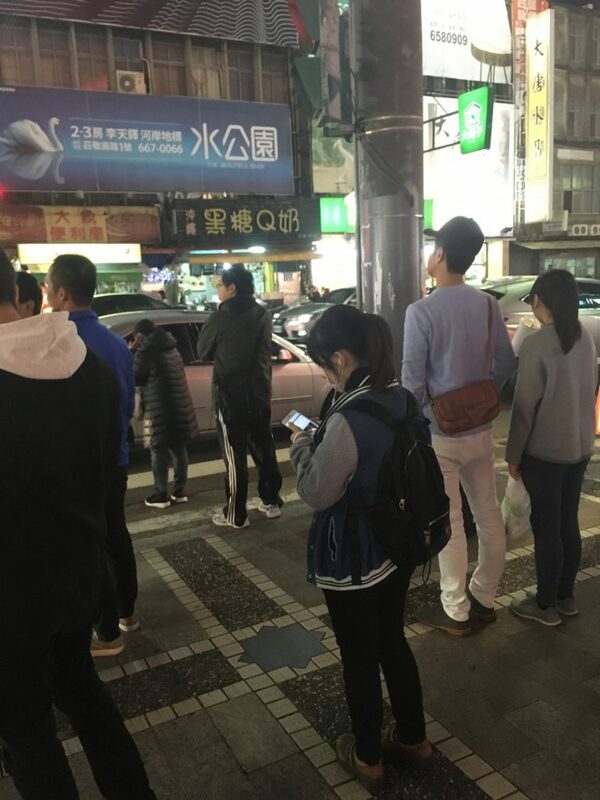 1 out of 12 seems about a correct ratio for people who would not continuously look at their phone while standing in line here in Hsinchu. I suspect he forgot his. Social media is not just personally unhealthy, it has become a threat to democracy. The tech companies that give us access to an infinity of information have become all-powerful and morally corrupt. And the lack of diversity in Silicon Valley fosters the development of products that idolize efficiency and greed, points us towards a dystopic future global monoculture. We don’t just hear all this, but we feel it, too. Something is profoundly wrong. As designers, we are not without some responsibility for this situation. We fought for design to be a strategic partner to business. We developed methods and frameworks that could be incorporated into corporate cultures. And we successfully offered design as a tool that could improve business outcomes. The result was that our work was used by and influenced millions, sometimes even billions, of people. Did we, along the way, stop asking if what we were doing was right? I don’t entirely agree with all contained in this quote, it’s all too easy to label large organizations like corporations and governments in an evil abstraction, but much of the essay rings pretty true to me. I usually stop here for a snack before boarding the airport express train. There is decent snacks and ice cream in the adjacent shopping area. 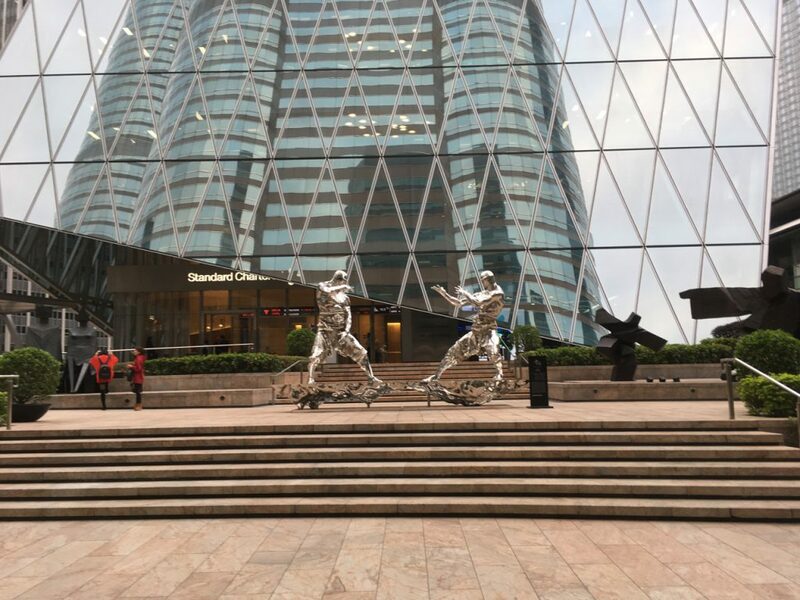 I spent most of the day yesterday recovering from Tuesday trip to Hong Kong – it was a day of coffee and books. I hadn’t slept much the night before my trip and spent all my time in Hong Kong tramping the streets. 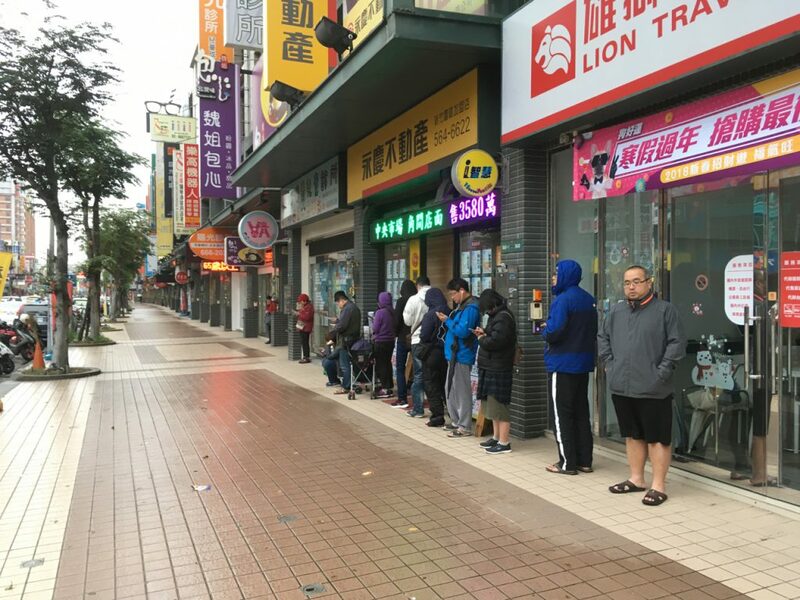 After 19 years of living in Taiwan it’s hard to believe that I still have to do visa runs. Since my Alien Resident Certificate (ARC) expired while I was in China this year I haven’t had the time or now the necessity to go through the process, especially since I have been told that the Hong Kong TECO doesn’t do fast tracking of VISA applications anymore. As long as I don’t make a trip to the hospital I should be fine with my current status as interloper. Of course this is all my own doing. Many long term foreign residents here apply for what is called an APRC, which if you qualify, allows for open work rights. Many are excited about the reduction in friction when its comes to changing jobs, and the elimination of yearly or bi-yearly ARC applications, but I never really saw much in the way of other advantages. Since my wife has only had 2 different jobs over the past 19 years, she didn’t see much benefit to going through what was once a lengthy time consuming process either. Even with an APRC you still face at the very least hassles in acquiring basic services here, like phone, credit cards, and etc. 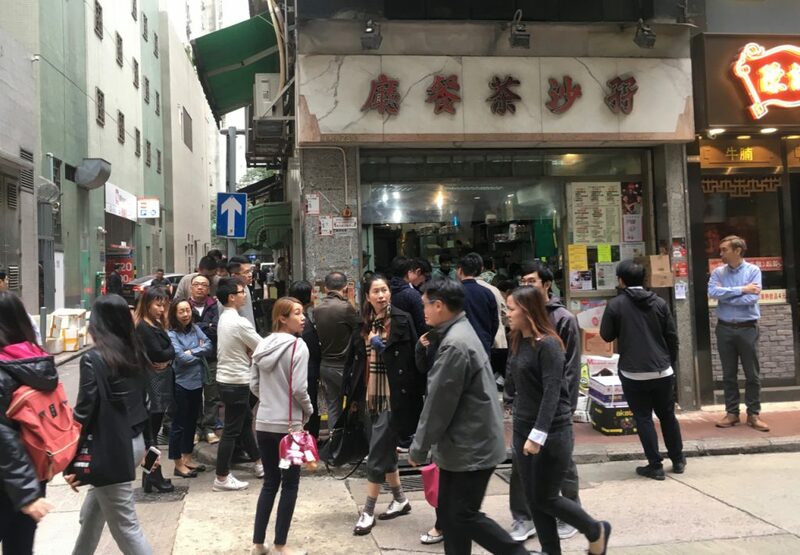 My time in Hong Kong was spent walking from one side of the island to the other – visiting a couple coffee shops and a number of running pro shops along the way. 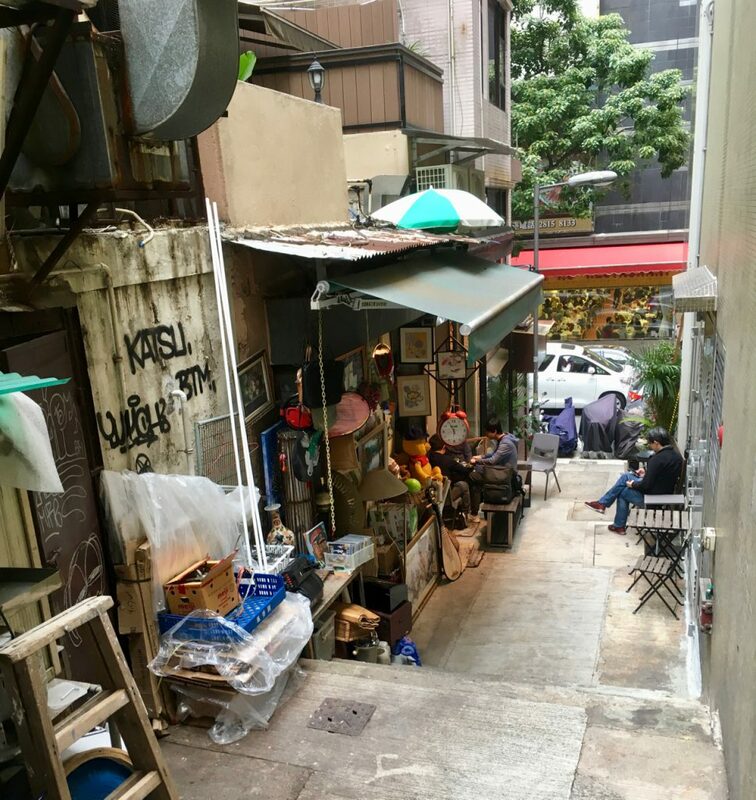 Hong Kong, like Taipei, has all these interesting narrow alleys where you can discover all kind of interesting slices of city life. There is an advantage to the density of a place like this – you can fit in so much visual information and experience with little physical effort. Try to gain the same experience in Canada and you would be exhausted from the distance traversed. I have been to Hong Kong many many times. I used to ensure that I visited western food establishments, as Hsinchu of the past didn’t have much in the way of quality food from abroad. That isn’t the case now, and though Hsinchu can’t compete with Hong Kong on selection, its good enough for my tastes. Especially coffee, as Hsinchu has some of the best roasters I have seen anywhere. One of the many changes I have noticed with Hong Kong can be found in the city’s drug stores, which admittedly is very important. Coming from Canada where the toothpaste aisle overwhelms you with a 100 different types of toothpaste, Taiwans drugstore selection always seemed very limited (lack of choice does reduce anxiety). Things like deodorant, toothpaste, and other products that help keep a man clean and smell free are still lacking in selection. Hong Kong used to be a place I might stock up on these items, but all the shops I visited are now “China-fied” with an over abundance of Chinese medicine, heat rubs and cheap vitamins. I guess the Chinese tourist dollar has spoken. I always make the same mistake when visiting a place. I try to cover too much ground within a short space of time. I try to experience as much as I can in the little bit of time I have. The result is usually exhaustion. I think for my next trip I’ll simply pick a location to sit, drink coffee, watch the locals and maybe be little bored. That I think might be a great luxury. 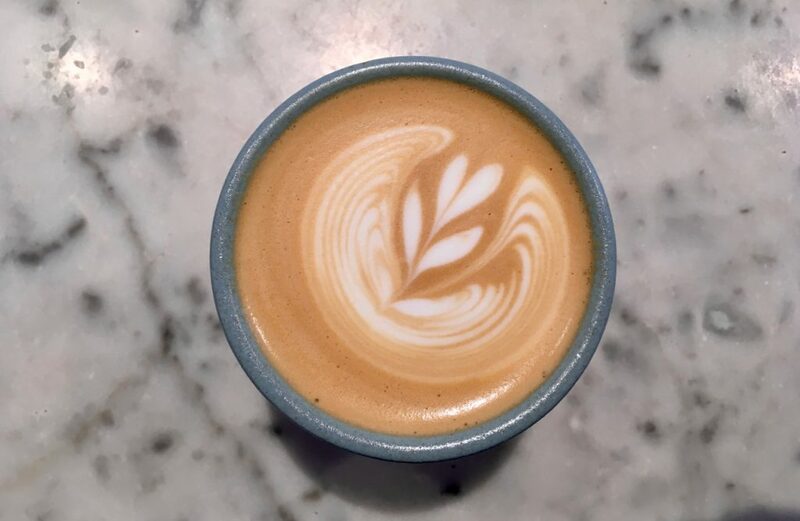 A latte from The Cupping Room – Wan Chai, Hong Kong. Good friendly staff and a good respite from the busy streets. The more I drink coffee elsewhere, the more I appreciate the coffee we have in Hsinchu. 18 years ago it was difficult to find a coffee shop let alone good coffee and now each time I am away I miss the quality we find here. What a change time has brought to this city. Camren and friends checking out some new level in a game. 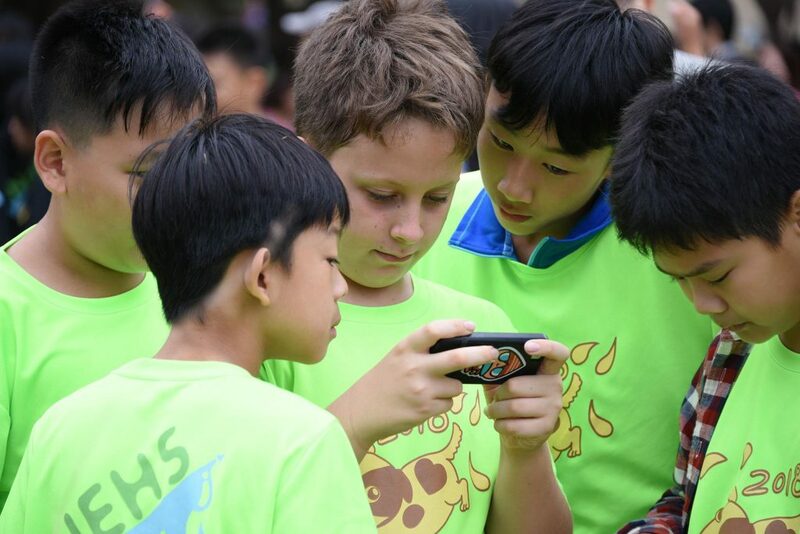 Smartphones are pretty integrable part of many elementary school kids in Taiwan.